As we all know, the burning of fossil fuels on an industrial scale is not a practice which can continue for much longer if we want to continue living on this planet. Instead, alternative power sources have to be found in order to sustain the environment and power the societies of tomorrow. In addition to solar energy, hydropower is one of the most promising renewable energy sources currently being developed. We covered the basics of hydropower in an article several years ago, but since then, many interesting developments have occurred. Deserts, known for their arid climates, are not typically where you would plan to build a hydropower plant, but that’s exactly what’s being planned in the Atacama Desert, Chile. Valhalla, a local company, plans to build a 300-megawatt solar and hydropower plant in this location, which incidentally, is the driest non-polar desert in the world! During the day, the plant will use solar energy to move seawater up a tunnel to the top of a mountain where it will be stored in a reservoir. During the night, the water will be released back down the mountain, harnessing the power of its motion and converting it to electricity – wow! Although it sounds inappropriate, this coastal location in Chile is actually ideal for a hydropower plant. At the top of the mountain are natural reservoirs, which means no dams need to be constructed to store the water – saving much time and capital. Amazingly, the process is actually cost competitive with coal (an important factor since renewable energy is not subsidised in Chile). If things go to plan, Valhalla hopes to expand the operation over the coming decades, turning Chile into an energy superpower and providing clean, affordable electricity to the whole of South America. For impoverished communities in the developing world, the lack of adequate sanitation is a problem which carries severe health consequences. Fortunately in Portland, Oregon, adequate sanitation is available to all, but more amazingly, water systems have actually been used to generate electricity for homes. “There’s a lot of water constantly moving through the municipal pipelines of most major cities. 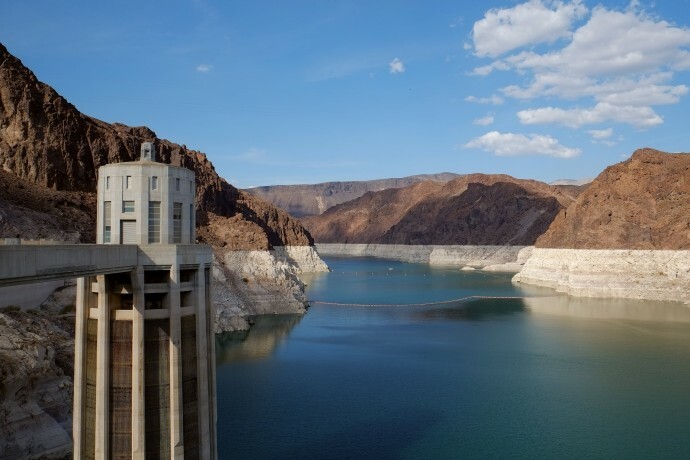 While the water itself is already destined for various uses, why not harness its flow to produce hydroelectric power?” asks Ben Coxworth, of Gizmag. Hydropower turbines have been installed in one of the city’s main water pipelines, and every time someone flushes a toilet, energy is generated. As this project is scaled in the coming years, it is thought that it could be used to provide clean energy to thousands of homes in the city. Although Portland is a prototype, this cost effective, environmentally sustainable energy system could theoretically be installed in other cities too. More information can be found at the Lucid Energy site. While technological innovations such as the above help to instill a feeling of hope for the future, there are serious challenges to the wide adoption of hydropower. One of the biggest problems for hydropower is global warming. In Tanzania, Africa, a lack of rainwater has led to low water levels in the country’s dams, which has dramatically reduced the productive capacity of hydropower plants. Due to this, many plants are being turned off and the country is going back to burning fossil fuels. Likewise, droughts in Brazil and Venezuela are resulting in similar outcomes. Unfortunately, traditional power plants also use water for cooling, and what’s left in the rivers will be warmer as a consequence, making it less useful for energy generation. If we are to truly implement hydropower on a worldwide scale, the same concerted effort needs to be made in scaling down traditional power generation processes which entail the burning of fossil fuels.